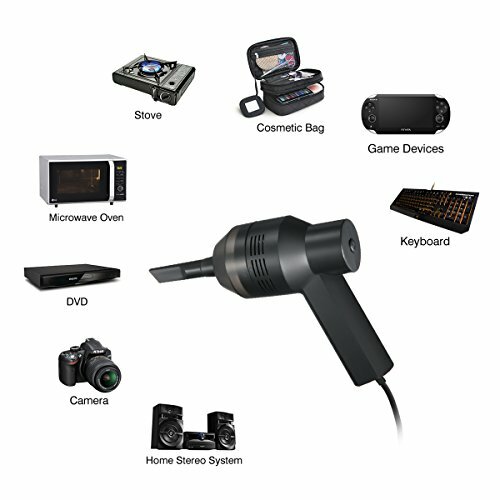 What Is A USB Vacuum? 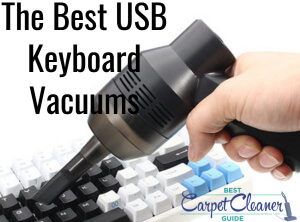 Typically used for cleaning dust (and, let’s be honest, more than a few biscuit crumbs) from tablets, laptops, and PCs, particularly between the keys on a keyboard, a USB vacuum is a small cleaner that plugs into your USB port, and gives your tech a good brush down. This ensures it stays in working order longer, looks smarter, and gives off an all-round good-to-use energy. What Should You Look For In A USB Keyboard Cleaner? Powerful suction is the most important thing here. You’re trying to pull up dust and debris that’s got itself nicely nestled in a small, tight space – a little light fluffing isn’t going to do the trick. 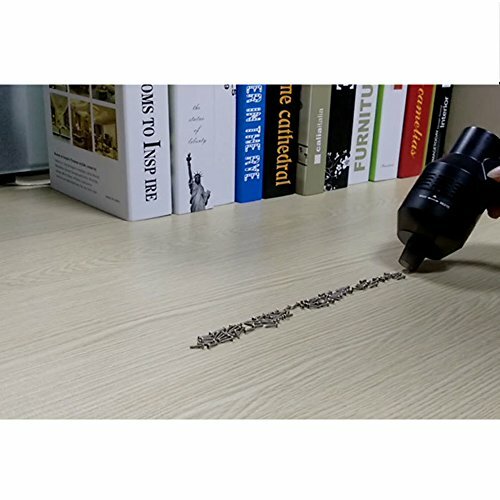 Once you’ve got the suction strength sorted, you’re looking for something small enough to sit neatly on your desktop, yet large enough for you to easily pick up. 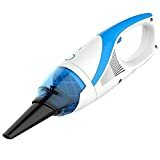 Do I Need A USB Vacuum Cleaner? Well, you COULD settle for wet wipes, and a quick upend-and-knock of your desktop keyboard – but these little gadgets just look so much cooler. On the box, this vacuum cleaner claims it can clean a dog basket, and the small areas inside a car, such as beneath the handbrake, and inside the interior door handles, as well as a computer keyboard. As someone who shares their house with four large, hairy dogs, I’m not convinced on the pet basket claims, and I don’t own a car to test the vehicle detailing claims. I do, however, own a laptop… but we’ll get to that. This USB keyboard cleaner was larger than I expected, and seemed solid and durable. It also has a good length USB cable attached – ideal for PC users, or those of us who manage to get dust and crumbs all over our desks. It came with two attachments; a soft-bristle, circular brush, and a nozzle, as well as a circular microfibre cleaning pad. At least, I assume it was intended to be some sort of screen cleaner pad – it certainly worked well when used in that capacity! There is no information provided with this vacuum, which is understandable, given its overall simplicity. Setting the cleaner up was incredibly simple – the work of seconds, if that. It’s operated by a simple push button, located on the back, which could benefit from being a different colour to the rest of the vacuum, but was, nonetheless, easy to find. Turning it on, it was reasonably quiet, though it didn’t seem that powerful suction wise. My laptop does look cleaner, however, so it clearly has enough oomph to get the job done. Seems to do the job, and isn’t too pricey. This is a cheap keyboard vacuum, available in a range of colours, that comes with nozzle, soft brush, and microfibre cleaning cloth. This is a good option for keeping in the office, but isn’t really durable enough to use on a regular basis. The bristles on the brush attachment are also too hard to use on a computer or tablet screen; while you’re not going to be doing that on a regular basis anyway, sometimes you do need that option, and it’s not available with the Viskey. 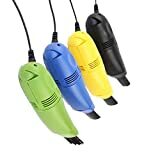 This USB cleaner is also quite loud when it’s in use, although for the time it takes to go over a computer or tablet, that’s not likely to be such an issue. Best to spend a little more, and get something more functional. 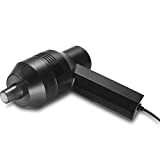 While this is billed as a bagless USB vacuum cleaner, there’s no USB cable supplied, and it seems large enough to almost be a handheld vacuum cleaner, such as you might use on your curtains and upholstery, or in the car, although it’s not close to powerful enough for these jobs. 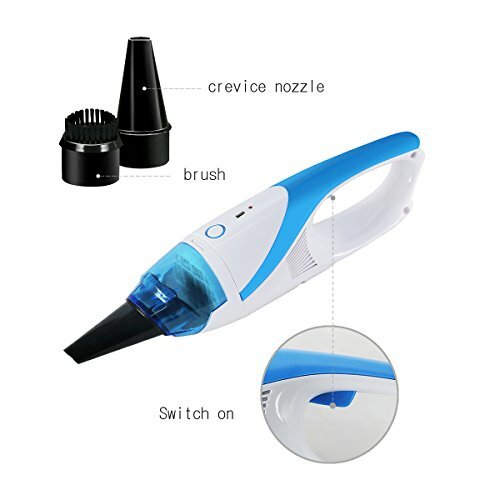 In terms of computer cleaning, there are no attachments provided with this, just the fixed nozzle, which does give a reasonable amount of suction. The vacuum is easy to empty, with a dust compartment that can handle several desk and tech cleans. Expensive for a keyboard vacuum. If you want a handheld vacuum cleaner, there are better options on offer at a similar price. A reasonably powerful, basic keyboard cleaner that gets the job done. A good option for keeping up appearances at work, or simply to have around. 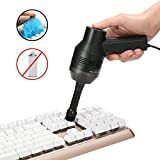 Powerful Suction: Effectively remove dust between the computer keyboard which is not easy to be touched, let dust nowhere to run! May the Force be with your keyboard cleaning and desktop dust-downs! 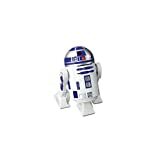 This is a great, quirky gift for the Star Wars geek in your life, but isn’t really powerful enough to be more than a desk ornament. It’s a fun concept, and it does arrive promptly, so if you’re looking for a last minute, light-hearted gift, this could be it. Save your money, and buy a decent desktop vacuum. 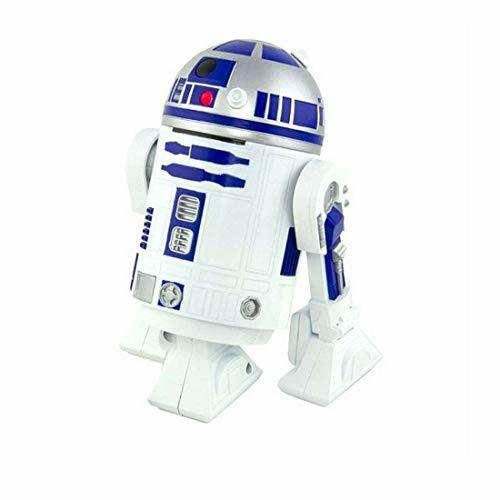 Feel the force of a desk top vacuum!